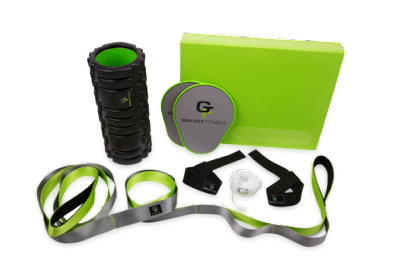 Quick Overview:The Gravity Fitness Massage Ball Set and FREE exercise guide was developed by Physical Therapists with a passion for fitness! Use it to for injury prevention, training recovery, rehabilitation, and athletics. Experience for yourself the most effective and convenient way to improve your flexibility. Made of soft foam this lightweight and durable Balance Pad is ideal for professional or personal use. The Innovative non-slip textured surface for safety and effectiveness. Experience the most comfortable and convenient way to improve your coordination, balance, and athletic performance. All of our products are premium quality design for any fitness and physical therapy use. https://gravityfitness.com/ - Use Promo Code "ptherapy" for 10% off your order! One of the things I love about the Peanut and Lacrosse Mobility balls: they’re small yet crazy effective. The small size allows you to get into those tight areas you normally wouldn’t be able to with a regular-sized foam roller, and doesn’t force you to hold up your body weight the whole time. They’re also small enough to fit in your bag, making them perfect for travel. I seriously have bought about a half dozen mobility balls to keep in each bag, backpack, car etc just so I make sure I always have one where ever I am! Gravity Fitness Mobility PeanutThis little rubber peanut ball-thing is perfect for getting into those tight spots in your calf, feet, neck, hip flexors, glutes and shaped to fit right on each side of your spine. So far my favorite use for the Mobility Balls is to break down the fascia in my feet, to help eliminate the painful areas and inflammation from training for OCR and on my upper back (tspine) to allow my shoulder to get into a better position when throwing or lifting overhead and to counteract the effects of sitting in class for hours ever day. Gravity Fitness Foam Roller:The best hollow roller I've found. Great for travel because I can pack a couple pairs of shorts and a few shirts inside of it so it essentially takes up zero space. I like that the surface is consistent, I'm not a fan of the half large/flat, half small and spiky. Give me all of one or the other! The foam itself is somewhat soft, so it provides adequate cushion, but since it's not overly thick, the roller is still good and firm over the PVC core. I have a couple of rollers (Rumble Roller black) and a couple of other Trigger Point products and this is the one that gets used the most. It seems to have a good balance of firmness to get to most sensitive muscles when the Rumble Roller is sometimes too intense. I like how small and compact this roller is, however the only drawback is while it does come with a carrying bag, I wish it had end caps to hold in contents I also wish to travel with. Many of these balance pads start at $70. Don't know if their quality is any better, but this one is just perfect. I got it originally to help with my horrible balance (definitely my worst skill of the 10 physical traits). Warming up with this everyday is a good ankle warm up and I have noticed less shin splints from my runs. It is an easy and cheap progress before something more unstable like a bosu ball, although if you can master this balance pad, I think that is enough for the average person. It is every bit as good as the expensive one the physical therapist uses. It also came with a carry bag, which is nice to have and large enough to store other items (like the gait belt). Use it for physical therapy, injury prevention, athletic conditioning, core strengthening, yoga, dance, balance, and proprioception. Innovative non-slip textured surface for safety and effectiveness. Embedded logo to prevent cracking and chipping. These products are stand alone some of the best mobility items I have used. Cost effective, high quality, and they provide great content on how to use them. I believe every person should have a set of mobility balls and a foam roller at the minimum for basic maintenance. My major criticism are not necessarily with the products that they currently offer but actually what Gravity Fitness doesn't offer (atleast quite yet). I know they have the stretch strap but I would love some different mobility bands and jump stretch bands for joint distractions as well as a "voodoo" type band for compression. Being a physical therapy focus company it would be nice to see some compression gear as well, but the main thing I would like to see is a kit offered at a discount that include all of the mobility items so I can point future patients/clients to the website to purchase 1 set of items.